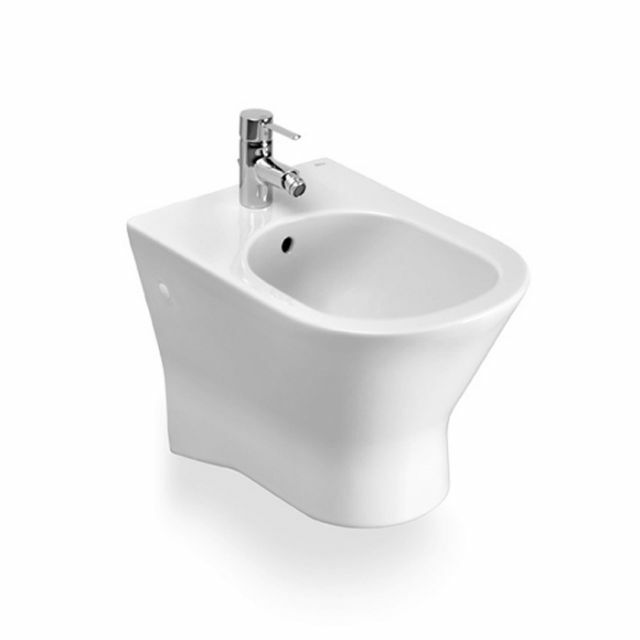 With this bidet's single tap hole, there is a wide range of different tap and mixer hardware that can work with it and allow for a custom look according to the user and designer's preference. 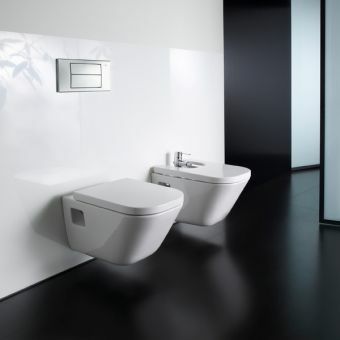 With this wall hung bidet's highly glossy white finish, it adds a look of cleanliness and style to most any kind of bathroom setup. 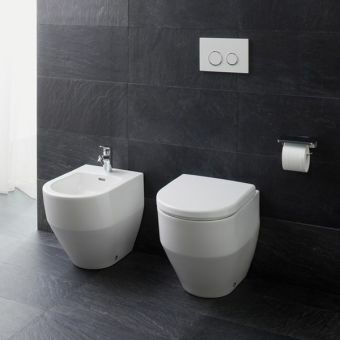 With this bidet's simple curves, it softens the look of virtually any style of decor while it remains modern and approachable. 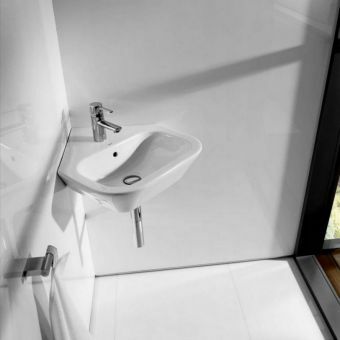 As this bidet is hung from the wall, it can be hung at most any height in order to customise the accessibility for people of widely varying heights that may have differing needs. 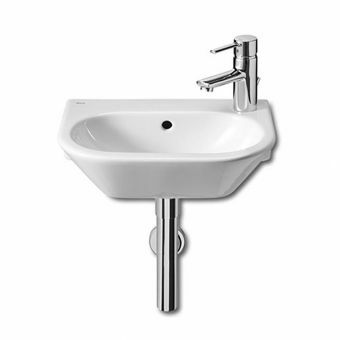 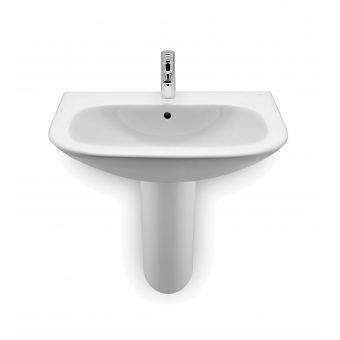 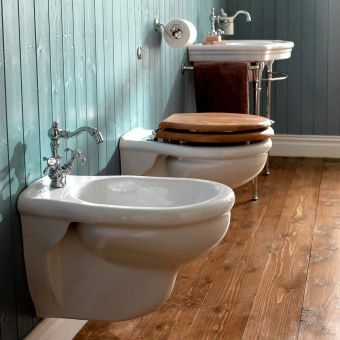 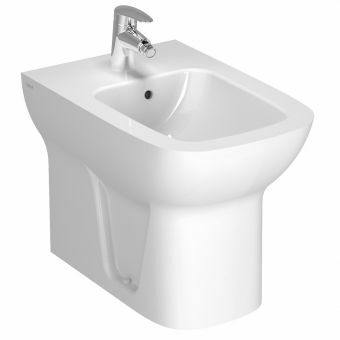 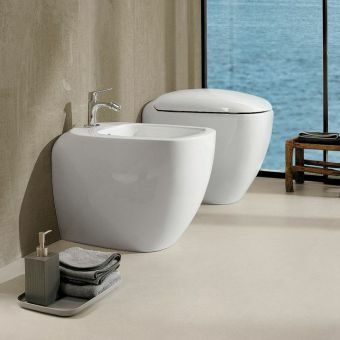 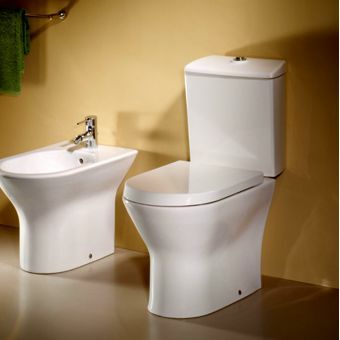 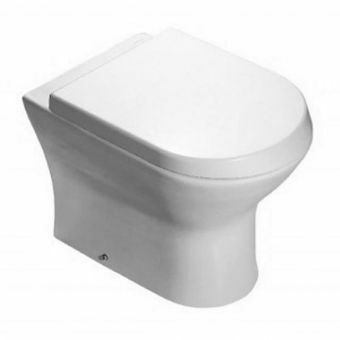 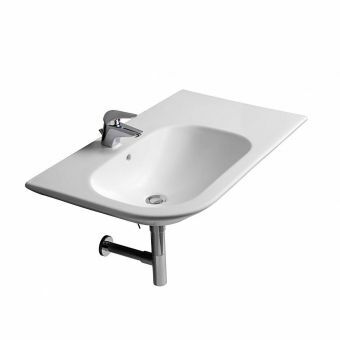 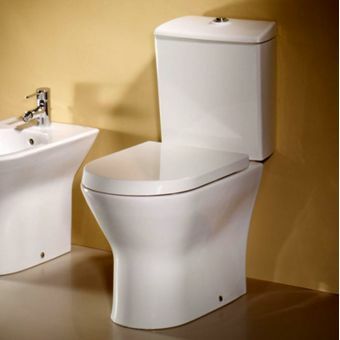 This wall hung bidet is excellent for providing the designer with an excellent fixture for both function and form.